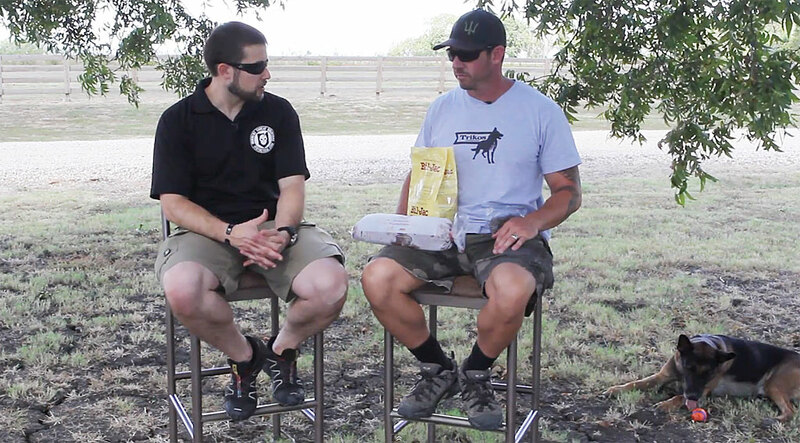 I had the pleasure of heading back out to Cooper, TX a few weeks ago to talk with former Navy SEAL Mike Ritland and learn more about K-9 Nutrition. Specifically, how that translates to overall fitness, giving his dog, Rico, what he needed to be able to take me down while I was running in a Bite Suit. There’s even a video below showing him pulling me around like a rag doll. It was a unique experience, not only to learn about and truly understand canine nutrition, but to “feel” the immense power that a canine has performing at the optimum level. I still have bruising on my arm weeks later, despite wearing a bite suit. Rico is certainly not a dog I want to see running at me! As you’ll see in the video below, Mike goes into great detail on K-9 Nutrition as it applies to all dogs, whether they’re pets, active companions or even search & rescue dogs. The main point being, that nutrition is extremely important and why it’s time to ditch the dry dog food. Mike summed his explanation up perfectly when he said that humans can live off processed foods, canned good and even MREs, but it’s certainly not ideal. Our bodies, much like canines, aren’t designed to eat those types of foods. For canines, that’s dry food, which definitely isn’t ideal. Dry dog food has existed for around 50-60 years, a time frame that pales in comparison to how long dogs have been around. They’re carnivores, plain and simple. Their spiked and serrated diamond teeth tell you all you need to know. The dry food diets of today, largely based on corn, soy or plant material is not designed to be fed to dogs, despite what great marketing tells you. Dry food for dogs is like us eating Triscuts and Ritz. Dry food sticks to a dog’s teeth, causing plaque build up and excessive water consumption to process the higher protein blends found in dry food. The increased water consumption leads to a dog’s kidneys working harder and causes darker urine. Feeding raw is more biologically complete and ideal due to the dog taking in less water to process. Tissue is 3/4 moisture and the less water needed to process food makes it easier on kidneys. 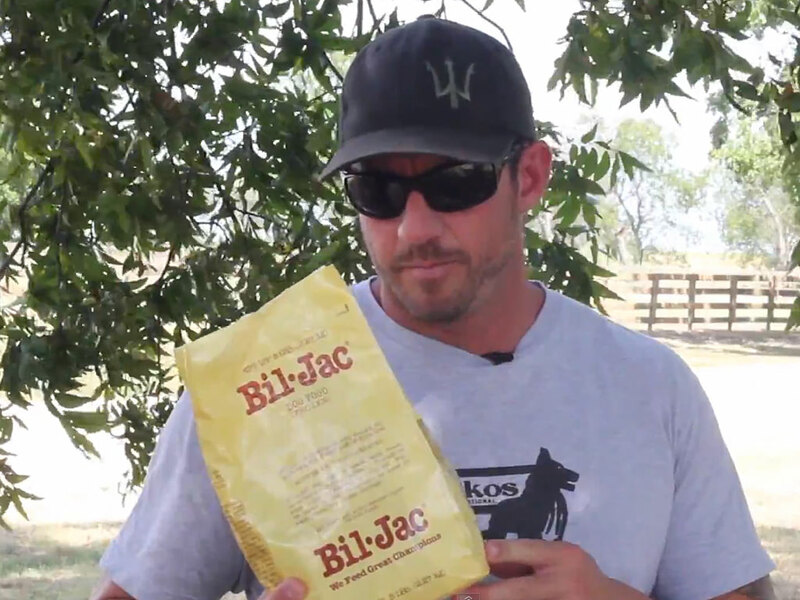 Mike recommends Bil-Jac, which is available in the frozen food section of most grocery stores and in coolers at pet stores. 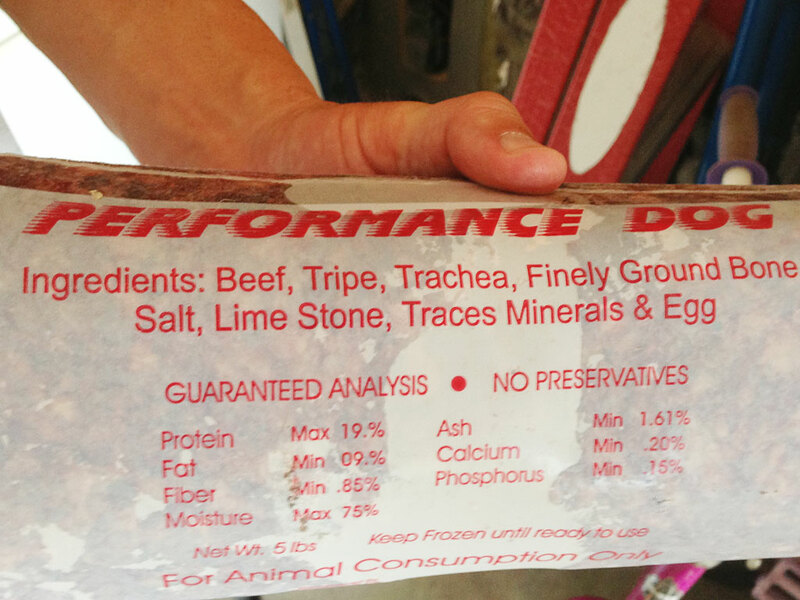 This is the more readily available option, but more ideally, a product called Performance Dog from Tefco is primarily what Mike feeds and suggests as a staple diet, even for pets. Mike is also working with Tefco on a Trikos specific blend that’s coming soon. Just like our Military, Police, Firefighters and even Professional Athletes, physical fitness can be the difference between life and death. 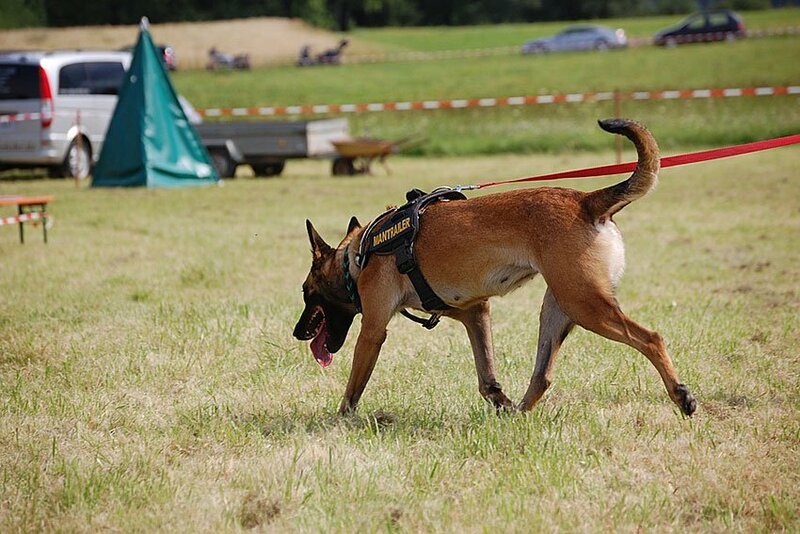 Being in the best physical shape possible is paramount, especially for canines that work with detection, apprehension and personal protection. The style of nutrition that Mike recommends for canines directly translates into speed, athleticism and optimum performance. 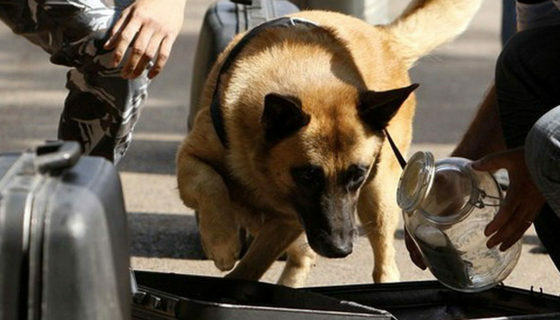 It’s what enables a canine to take down a human being 3-4 times their size and harness that incredible capability. I’m a true believer after spending some time on the receiving end of this kind of training. As a human “dummy” I had the experience of knowing just how capable Mike’s dog, Rico, is of taking down all 185 lbs. 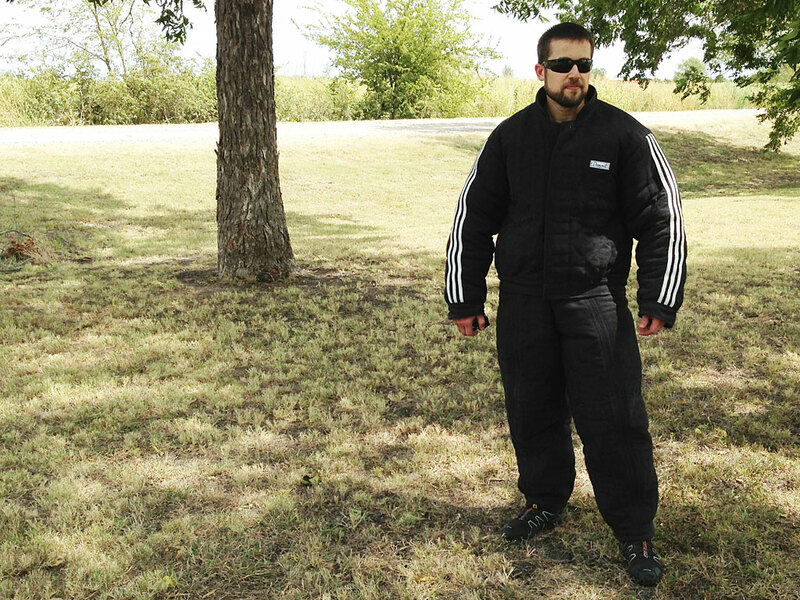 of me in a bite suit that probably weighed another 15. 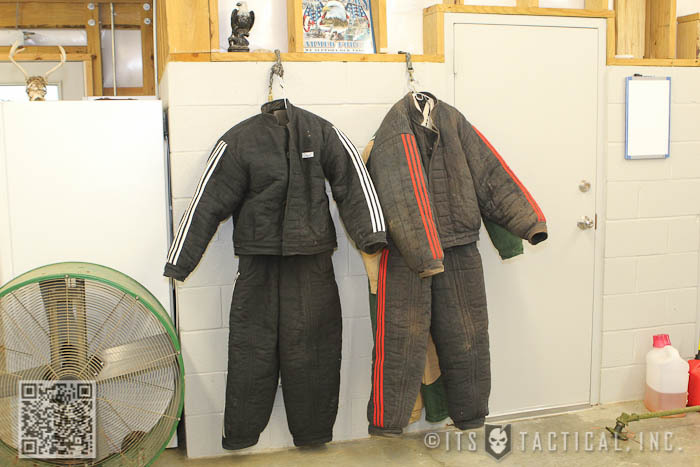 I was a bit nervous at first when Mike asked if I wanted to climb into his Demanet Bite Suit and get a demonstration of what Rico could do. I’ve seen bite work videos and even a little in person, but that didn’t prepare me for just how immense the strength is of a properly fed and trained working dog. As I climbed into the bite suit, I started to feel the heavy-duty construction and hoped Rico’s teeth wouldn’t pick today to pierce through the suit. Mike mentioned that he had thicker suits and that he favored the one I was wearing, because it allowed him to feel what the dog was doing. Great, I thought to myself, this will allow me to feel what Rico is doing. Wait, is that a good thing or a bad thing? There was no turning back now, as I buckled up the suit and lined up on a direct path with Rico. As Rico sat patiently waiting for Mike to unleash him on me, I briefly thought to myself, “What am I doing? What if he goes for my face? What if… Oh screw it,” I knew I just had to trust Mike and Rico. Covering a good 30 yards in what seemed like 2 seconds, Rico hit me with a force I wasn’t expecting, I tried to keep telling myself to not tense up, but it was extremely difficult to do. Watching Rico leap off the ground for my arm, that Mike told me to present to him, was unnerving to say the least. What I really had to psyche myself up for was putting my back toward Rico and running away from him. I think that nervous anticipation was worse that jumping out of a plane or even trying to go to sleep in a cot Sunday night before Hell Week broke out. Seriously, that and feeling Rico use my back as a spring board to take me down, knowing what he was capable of. While I got a bit more comfortable as the “bites” went on, I’m not sure that I could be a human rag doll like that all the time. It really made me appreciate what goes into the training that Mike and Trikos International provide. I hope you enjoyed getting a look at canine nutritional information and how it correlates to optimum performance. Mike is a wealth of information and I’m honored that he’s willing to share it with our readers here on ITS. I don’t know how he makes time for all that he does, especially the books he has in the works. For those of you that don’t remember our first interview and article with Mike, his book, Trident K9 Warriors, gives us an inside look at the elite canines the SEALs operate with. 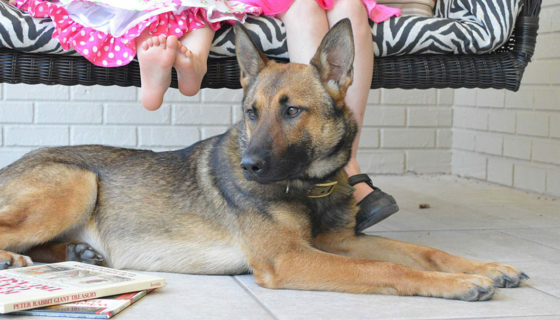 His new book that’s releasing soon, Navy SEAL Dogs: My Tale of Training Canines for Combat, is a version of Trident K9 Warriors written for young adults and children that will be made available through the scholastic book program, as well as booksellers like Amazon. 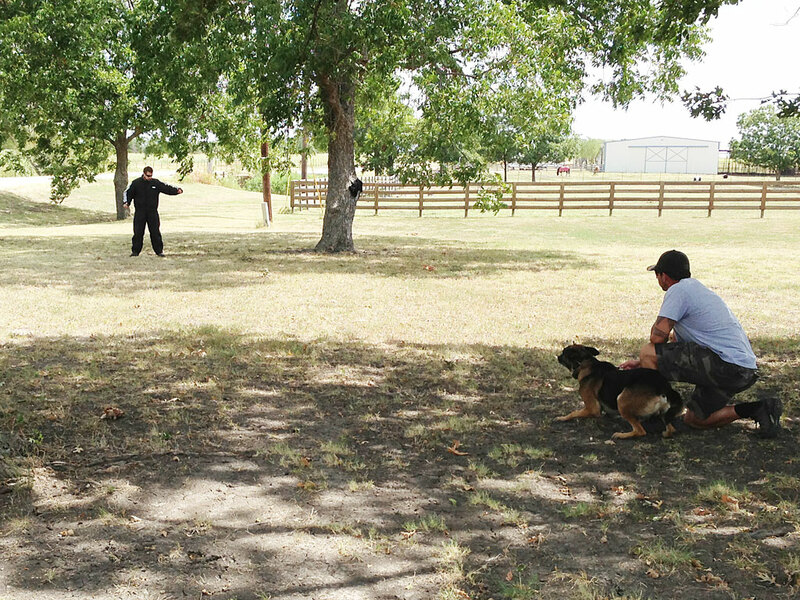 Mike also has a training book coming out in 2014, that explains basic level training techniques all the way up to those needed to train Tier 1 dogs. There’s no release date yet, but stay tuned for more information. 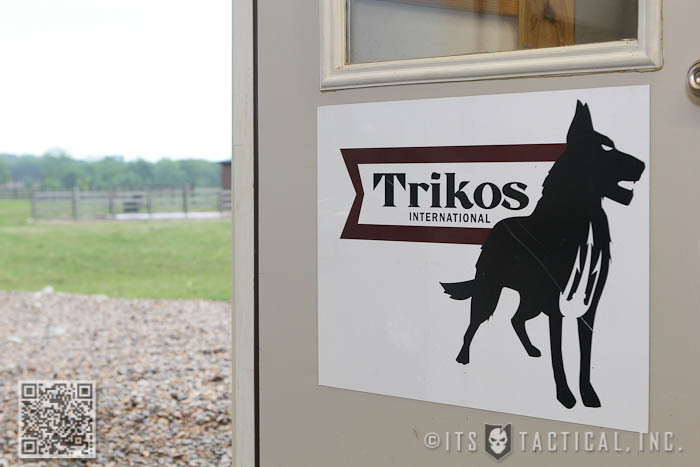 Not only does Mike run Trikos International, which provides personal protection dogs to individuals needing security, but he also heads up the Warrior Dog Foundation, an organization set up to provide a sanctuary for retired SOF working dogs. 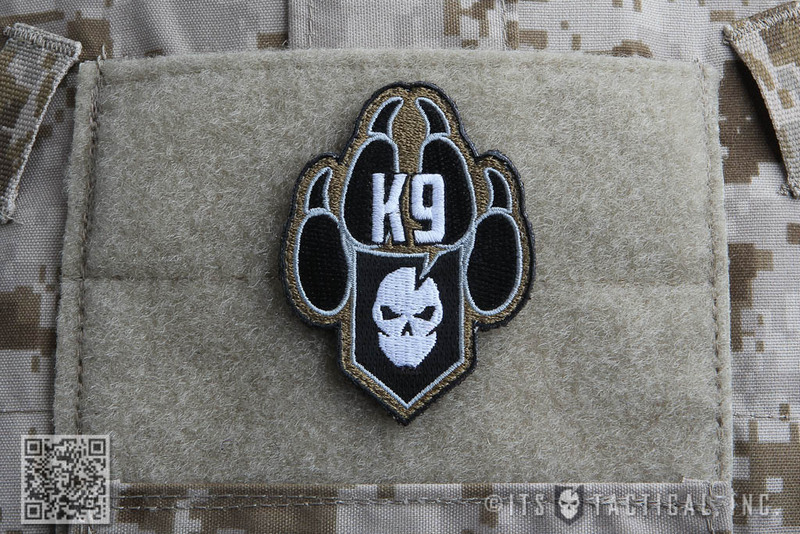 It’s a charity that very near and dear to us here at ITS and we’ve been proud to team up with Mike and the Warrior Dog Foundation to create a K9 Morale Patch for sale in the ITS Store. A portion of the proceeds from each sale go directly to the Warrior Dog Foundation.